Brittany Ferries diffuse auprès de ses clients anglophones la revue « Voyage » qui présente différentes destinations et thèmes pouvant intéresser les voyageurs. Le numéro de cet été 2014 contient un long article consacré à Anne de Bretagne écrit par le journaliste Barnaby Eales qui a rencontré notamment le Comité Anne de Bretagne 2014. Cet article permettra sans aucun doute aux lecteurs de découvrir un épisode fondamental de l’histoire de la Bretagne mais aussi les liens importants entre Bretagne et Angleterre. Espérons ainsi que nos amis irlandais, anglais, écossais, gallois et corniques regarderont d’un nouvel œil la Bretagne loin des clichés sur « l’ouest de la France » …..
Pour voir l’article, cliquer sur l’image. Cette entrée a été publiée dans Anne de Bretagne, Histoire, manifestation, publication, et marquée avec Anne de Bretagne, Anne of Brittany, Barnaby Eales, Brittany Ferries, Comité Anne de Bretagne, commémoration, le juillet 30, 2014 par annedebretagne2014. 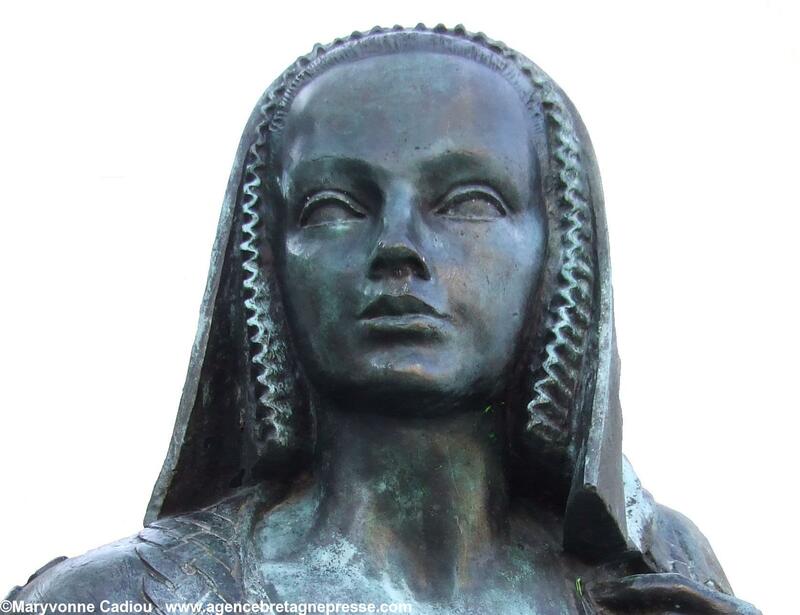 Anne of Brittany, known as the ‘little Duchess in Clogs’ is regarded as the last ruler of an independent Brittany. She married two successive French kings – Charles VIII and Louis XII – and as the Duchess Queen played a leading role in European politics. In Brittany, she is remembered as one of the few rulers of her time who had the interests of ordinary people at heart. In the fourteen hundreds the most stable institution in Brittany was its Church. Nominally under the control of the archbishop of Tours, the Breton church was largely independent, with its own culture and traditions dating back a thousand years to the time of the Breton saints. The country was divided into the seven diocese which owed their origins to the founding saints – Leon (St. Pol), Cornouaille (St. Corentin), Treguier (St. Tugdual), St. Brieuc or Penthièvre (St. Brieuc), Dol (St. Samson), St. Malo (St. Malo), Vannes (St. Patern) – plus the diocese of Rennes and Nantes, which were added to Brittany by its first king, Nominoë. Europe was still living under a feudal system of government, and in Brittany, power, at least in theory, lay with the Duke, supported by the principal nobles. The Duke in turn owed allegiance to the King of France and the King of France swore allegiance to the Pope. By the time that Anne was born this system of government was breaking down: the power of the church was in decline, and the barons were openly competing with each other for wealth and status, making it difficult for the Duke of Brittany to maintain the rule of law. A similar process was happening all over Europe, and it was being resolved by monarchs breaking free from Church control and establishing sovereign states, over which they were the supreme rulers. Prior to this, the borders between different European countries had been fairly vague. In fact, the state of Brittany had been one of the more well-defined areas of the continent, having borders that had remained intact for seven hundred years. For several centuries, however, Brittany had only managed to maintain its independence through complex diplomacy that involved playing France and England off against each other. The biggest threat to peace usually came from France, because of the shared border, and for this reason, Brittany tended to side with England in the disputes between the two countries. There were also vivid memories, however, of times during the Hundred Years War (between France and England) when English soldiers had been invited over as allies and had ended up acting as conquerors: the main object of state policy was, therefore, to keep both powers at bay. The subsequent history of Europe has served to obscure the importance of Brittany in the Middle Ages: in terms of its size and wealth it was at least as important as areas that have developed into independent countries, such as the Netherlands, Belgium, Portugal, or Denmark, and in terms of its strategic importance it was second to none. Brittany was the hub of a trading network that linked the countries of southern Europe with those in the North. It is estimated that by the end of the fifteenth century the Breton merchant fleet consisted of 2000 ships, having a total capacity of 20,000 tons. They supplied Britain, the Netherlands, and the Baltic states with wines from Bordeaux, sugar from Madeira, fruit from Portugal, and iron from the Basque country; in addition, home-produced products such as salt from Guérande, linen from the Quintin/Loudéac area, canvas for ships’ sails, and ropes made from hemp were sold extensively across northern Europe. The area around St. Brieuc also produced a large surplus of wheat that was exported south to Spain and Portugal. At this point in history, trade was beginning to challenge agriculture in economic importance. This meant that power was shifting from the countryside to the towns and from the old aristocracy to the new bourgeoisie. Brittany was one of Europe’s most significant centres of trade, and therefore an object of interest to all of the most ambitious rulers of the continent. To a certain extent, it was Anne of Brittany’s misfortune to have been born as the heir to the duchy of Brittany at this critical time. Anne was the eldest daughter of François II, Duke of Brittany. She had one younger sister, Isabeau; their mother died when Anne was only eight years old. Her father had more or less given up hope of having a legitimate male heir by the time that Anne was born, and she was therefore brought up as the heir apparent (under the famous Salic Law that applied in France, women could not inherit their father’s titles, but under the Celtic law that applied in Brittany, Anne could become ‘Duchess of Brittany’). As a baby, she was nursed by a woman from the west of Brittany, from whom she learnt Breton, and it was possibly from this early experience that she acquired her understanding of, and affection for, the ordinary people of the Duchy. Her education was similar to that received by princes of the age: she studied French, Latin, Greek, Hebrew, natural science and mathematics, in addition to the ‘womanly’ arts of music, dancing, poetry, and embroidery. Above everything else, she learnt the art of statecraft, being instructed in all the laws, treaties and alliances appertaining to the state of Brittany. From the age of eight or nine years old, she appears to have been the principal confidante of her father as he struggled to hold back the tide of events that threatened to overwhelm him. In reality, François was trying to maintain control over a state that was falling apart – largely due to internal divisions and the fact that many of the nobles were openly in league with the French court, whose principal object of foreign policy at that time was to annex Brittany to France. François’s army lost a decisive battle at St. Aubin du Cormier in July 1488, and he died a few months later. For many years his plan had been for Anne to marry the eldest son of Edward IV, king of England and Wales. If this marriage had taken place then, for a while at least, Brittany would have been united with England rather than with France, but all hope of such an alliance perished with the young prince, who was one of the brothers murdered in the tower of London (an act which is commonly believed to have been carried out under the instructions of their uncle, Richard of York). After this, Anne had been variously engaged to another twelve different noblemen and heads of state as her father had struggled to protect both her future, and that of the Duchy, but in the end he died with nothing having been resolved. Louis the eleventh, Charles VIII’s father, is the French king who is regarded to have done the most to undermine the state of Brittany. Up until his time there were still the remnants of a code of honour amongst the leaders of Europe, which meant that they respected each other’s rights and privileges. But Louis even had a plan to make himself Duke of Brittany. He went to the extent of purchasing rights of succession to the Duchy from a branch of the Breton nobility (rights which would never have stood up in a court of law but which had sufficient validity to make life difficult for Anne when her father died). Louis died before he was able to carry through his plan, but his daughter, Anne de Beaujeu, continued his policy and in her role as regent of your young brother, Charles VIII, she paid large bribes to Anne of Brittany’s tutor, Françoise de Dinan, to her guardian, Jean de Rieux, and to many members of the family of Rohan, who were perhaps the most powerful of the Breton nobles at that time. It is now known that the people whom he appointed to advise and to act as regents for his daughter were themselves in receipt of bribes from the French court, and, to make matters worse, each of the principal nobles of Brittany refused in turn to aid Anne, unless she first agreed to marry them or a member of their family. Anne appears to have been aware of all the dangers that beset her, and, even though only eleven years old, she took charge of her own affairs from the start. She succeeded in making a tour of Brittany even though many areas were in a state of civil war, and it is from this expedition that her reputation for kindness and taking an interest in the affairs of ordinary people dates: the name ‘Duchess in Clogs’ relates to an incident (which may or may not have happened) when she accepted a pair of clogs offered to her by a man in Rennes so that she could cross a muddy street without soiling her shoes. She managed to keep the opposing forces at bay for two years as she tried to decide what course of action would be in the best interests of her country. She eventually settled for a marriage with the Emperor of Austria, Maximilien, which was to have been supported by a military alliance between Brittany, England and Austria (which at that time controlled the Netherlands), and was designed to thwart the ambitions of the French court. The marriage took place by proxy (in a bizarre ceremony, the Austrian ambassador put his naked leg into Anne’s bed in the full view of her advisors and courtiers to symbolise a consummation of the marriage), and when news of it came to the ears of Anne de Beaujeu, regent to the French king, Charles VIII, retribution was swift. Such a marriage was in clear contravention of previous treaties between Brittany and France, and the French army moved into Brittany and laid siege to Rennes, where Anne was holding her court. The hoped for aid from abroad did not arrive in sufficient strength, and the nobles of Brittany failed to come to her aid. It was not long before Anne was forced to surrender. She agreed to have her marriage with Maximilien annulled and to marry Charles VIII of France instead. She was then fourteen years old. Charles and Anne had four children, but none of them survived and Charles himself died seven years after they were married, after banging his head on a door post. Under the terms of her wedding contract, Anne had agreed to marry the heir to the French throne if Charles died before her, and if they had had no male children. She was thus pledged to marry Louis Duke of Orléans – Louis XII of France. It is possible that she was not unduly opposed to this marriage; Louis was cousin to her father and for a while had lived at the Breton court in Nantes. In addition, he had proved himself to be sympathetic to the Breton cause, even to the extent of fighting amongst the Breton infantry at the battle of St. Aubin du Cormier, an act for which he had been kept in prison for many years afterwards by Anne de Beaujeu. Under the terms of the marriage between Anne and Louis, the union of France and Brittany was to have been only temporary. Anne’s first male child was to have become King of France, and a second son would have become Duke of Brittany. However, Anne and Louis did not have any sons, but two daughters, Claude and Renée. Under French law Claude could not inherit her father’s title and the French crown was therefore due to pass to Louis’s nearest male relative, François de Angoulême. Claude would, however, become Duchess of Brittany and it was Anne’s wish that she should marry the Duke of Luxembourg, so that Brittany would once again become independent of France – a move that was clearly opposed to the interests of everyone else at the French court. Anne fell ill after a failed pregnancy and died two years later at the age of thirty-seven. After her death, Claude was married to François and, like her mother, became Queen of France. However, she lacked Anne’s interest in state affairs and was happy for her husband to administer Brittany as part of his larger domains which now stretched as far as northern Italy. 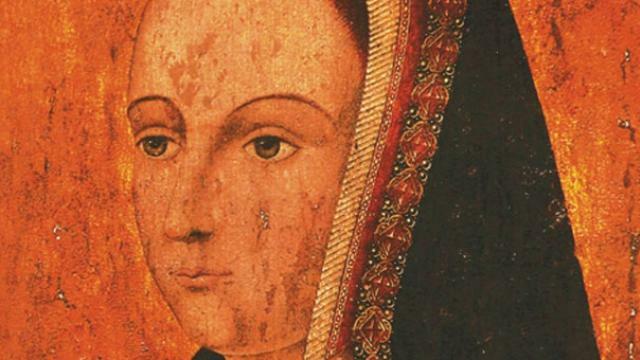 Different people have chosen to look at the life of Anne of Brittany in different ways: many French historians have placed a romantic interpretation on her life and achievements – two countries united through the union of two hearts etc. ; some Breton historians, on the other hand, have portrayed her as the helpless victim of French aggression, and others have even suggested that she sold her heritage for a life of luxury. Students of human nature see in Anne a rare example of a person of integrity born into a time and place where morals had fallen into decline; a young person who, though virtually destitute of any help or support from her elders, still strove to remain true to what she believed to be right; and someone whose virtues and merits are still remembered with affection by the people of Brittany today – even though she herself may have felt that she failed to accomplish the task that she set out to achieve. Cette entrée a été publiée dans Anne de Bretagne, Anne of Brittany, et marquée avec Anne of Brittany, Brittany, Duchy of Brittany, le décembre 23, 2013 par annedebretagne2014.